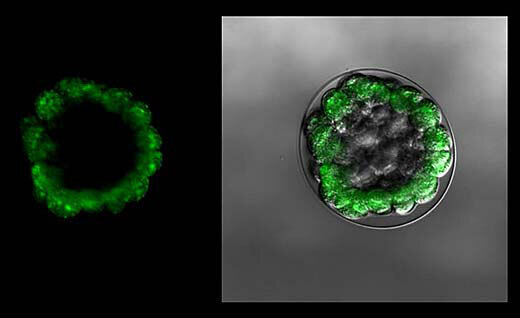 (Nanowerk News) Nanomaterials commonly used in sunscreens and boat-bottom paints are making sea urchin embryos more vulnerable to toxins, according to a study from the University of California, Davis. The authors said this could pose a risk to coastal, marine and freshwater environments. The study, published in the journal Environmental Science and Technology ("Copper Oxide and Zinc Oxide Nanomaterials Act as Inhibitors of Multidrug Resistance Transport in Sea Urchin Embryos: Their Role as Chemosensitizers"), is the first to show that the nanomaterials work as chemosensitizers. In cancer treatments, a chemosensitizer makes tumor cells more sensitive to the effects of chemotherapy. This research is part of the University of California Center for the Environmental Implications of Nanotechnology and supported by the National Science Foundation and the Environmental Protection Agency.